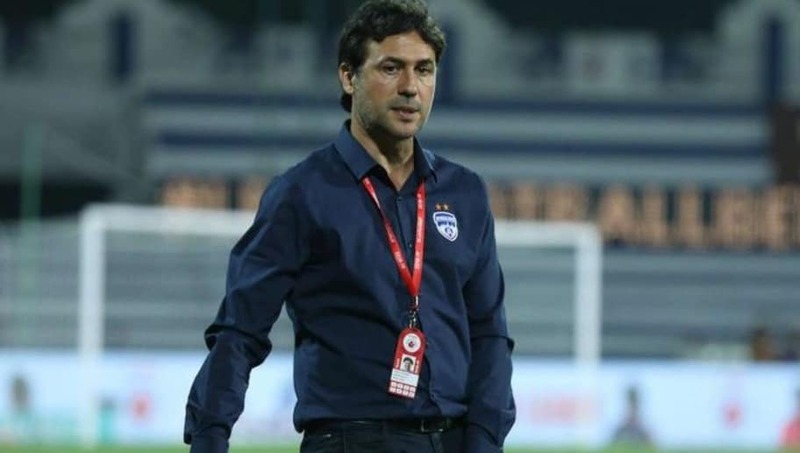 ​Bengaluru FC coach Carles Cuadrat has expressed his discontent with the refereeing standards in his team's 2-2 draw against Kerala Blasters in the ​Indian Super League on Wednesday. Sunil Chhetri and Udanta Singh scored in the second half to salvage a point for the Blues after going two down earlier in the game. A number of contentious decisions were made by the referee throughout the game. There were a huge number of fouls conceded by both teams and Cuadrat was not impressed. Speaking to ​Goal, he said, "We know that they are physical. It was not happening in the first half. The referee has to protect the game. When there are some risky situations, you don’t understand. Serran was given a yellow, Sunil was almost killed in a tackle and there was nothing."